Glutathione is an agent naturally produced and stored by the liver. It is found in all parts and cells of the body. It exerts its effect due to its strong antioxidant properties. Glutathione is basically a complex of three amino acids that include L-Cysteine, L-Glycine and Glutamic acid. Naturally it is present in meat, fresh and raw fruits, vegetables and nuts etc. Our body naturally produces it but the environmental factors like pollution, stress and restlessness depletes glutathione production in our body.Glutathione depletion can also cause liver damage.It is basically a protein so easily metabolized in our digestive system. Acetylcysteine is the basic component which is used to synthesize glutathione. It is called as master antioxidant. Glutathione regenerate damaged tissues. It replenishes other dormant antioxidants in our body like vitamin C and vitamin E. It functions as a detoxifier, stimulant and activator of the immune system by guarding the cells against oxidative stress and free radicals. So it is used to detoxify, cleanse and heal our body in general. · Also used in diseases that occur due to weak immune system. The only major and natural way to enhance skin complexion and tone is to take glutathione in the higher doses dose. It is also used as inhalant to get rid of asthma, allergy and airway constriction. It promotes male fertility by safeguarding the sperm cells from the oxidative stress. It is also effective in pulmonary and mental disorders. There are many natural ways to boost glutathione levels in the body. · Eat Sulphur rich foods like garlic, onions, brocolli, cabbage, sprouts, turmeric and avocados etc. · Do exercise regularly or a brisk walk of 20-30 minutes 4 times a week. · Take dairy products, cow milk is a good source of glutathione. · Vitamins C and E work together to recycle glutathione. · Glutathione supplements are also available in the market. Glutathione is widely used as a skin whitening agent. It works by blocking tyrosinase activity which prevent melanin formation within the skin and prevent the skin darkening resulting in reduced melanin levels and increased fairness of the skin complexion. Glutathione helps to improve liver function in our body that indirectly helps body to detoxify and improve skin tone. It used to prevent clot formation in circulatory system. The results of glutathione therapy for skin whitening vary from person to person. 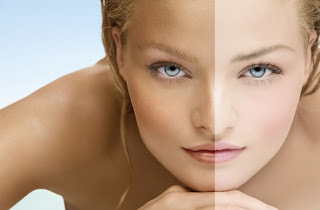 Its whitening or skin lightening effects can be seen from the duration of 1 month to 1 year. It is taken orally as tablets or intravenously as injections. Number of products are available in the market which are used to enhance the skin tone. No significant side effects of glutathione therapy have been reported but a very high dosage of glutathione may cause zinc deficiency. It is contraindicated in lactating mother or pregnant women. The use of glutathione is much better then using steroidal skin whitening products that may result in severe side effects after prolong use. Liposomal glutathione not only enhance skin tone but it is also useful for getting healthy and glowing skin. On the other hand, as glutathione reduces the melanin formation so it may also cause hair whitening. Only quality glutathione pills should be used for skin whitening. Other than Glutathione pills, foods like Avocado, walnuts, oranges, cabbage, sprout, garlic and onions contain high amount of glutathione but it shows significant results over a long period of time. Walnuts and avocados also contain high content of essential fatty acids so it contribute a lot in skin glowing. Glutathione is used to enhance skin tone, remove freckles, wrinkles and acne but it wont work with acne caused due to hormonal problems. Glutathione deficiency may cause mercury accumulation and chronic inflammation. To improve absorption glutathione is used with liposomes. As glutathione is water based antioxidant while liposomes are oil soluble from outer surface and water soluble inside. So glutathione is stable inside because of its water stability. Glutathione also plays an important role in DNA and protein synthesis cell regeneration, gene expression , immune response and cell death.